Today BUSINESS ACUMEN is indeed the determinant competency of organization competitive business performance. Business acumen is our comprehensive understanding and conducts of how business is being managed for optimum value creation for the organization growth and sustainability. Through business simulation we will facilitate you a quantum learning by practicing, experiencing and getting the ‘AHA’. 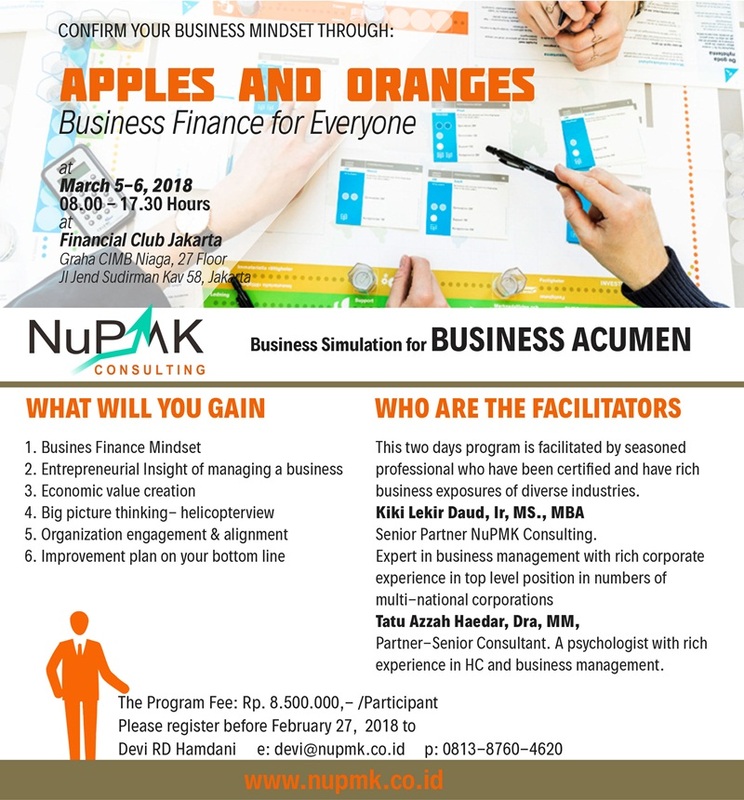 It’s FUN serious program for you to confirm and enhance your business mindset for business acumen. This two days program is facilitated by seasoned professional who have been certified and have rich business exposures of diverse industries.